"Many will acknowledge that refined sugar has a narcotic element. 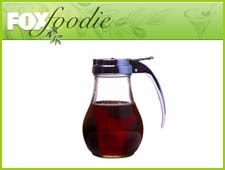 It has a high glycemic index (GI), ..."
Maple Syrup, the New Sugar? "it’s much more versatile than people expect and has a depth of flavor that you want to incorporate into your cooking." "Healthy proteins and carbs are an essential part of any new year fitness regime"